One of the most defining things you can do for yourself, in my opinion, is to have a signature recipe. Something that you always bring to parties because it’s just so darn popular. Something that people look forward to when they know you’ll be at a gathering. Something that may even be the reason people invite you to parties. Okay, maybe that’s dramatic. But you see my point. Well my mom has one of those recipes. 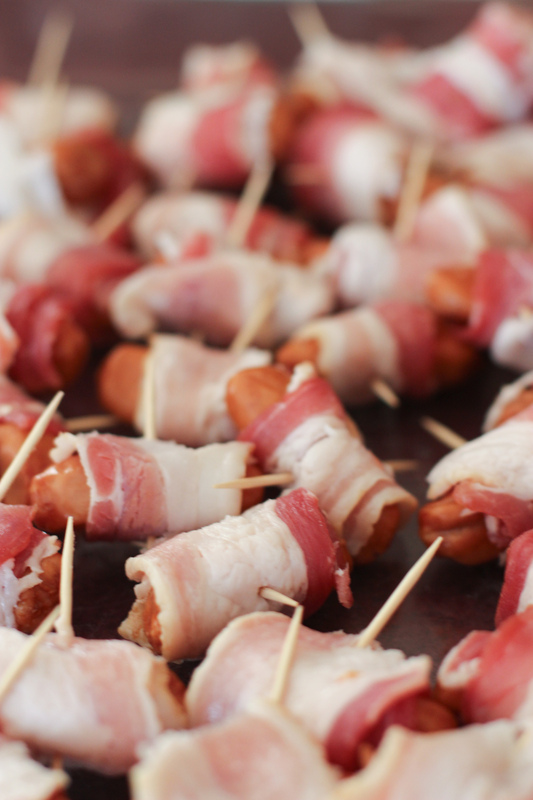 Whenever we go to a family gathering, especially on my dad’s side, she makes bacon wrapped cocktail wieners. If she brings it to a party, it’s gone within minutes, and if she doesn’t, everyone is wondering why it’s not there. Having a signature recipe like this is great when it’s this simple. And since I’m in a celebration mood after participating as a sister in a successful round of recruitment and meeting awesome new sisters, this is the perfect recipe to share. 2. Cut each bacon strip in thirds. 3. 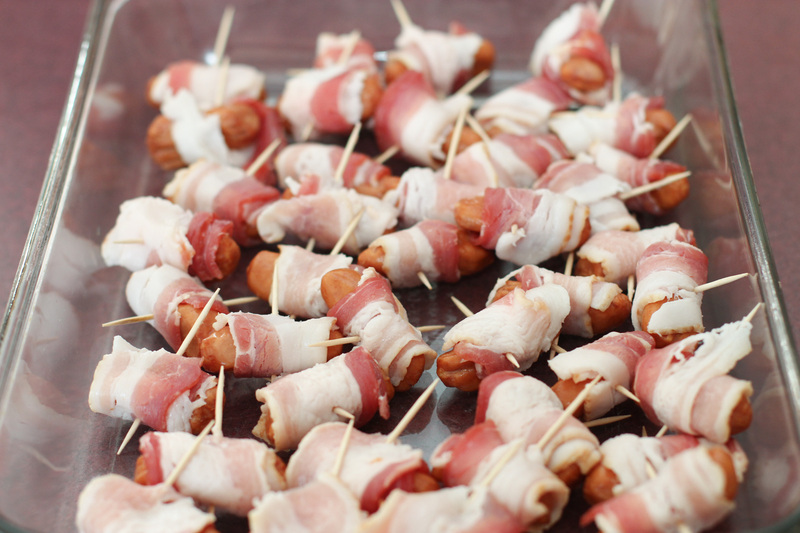 Wrap each third of a strip around each wiener and secure with a toothpick. Place in a 9×13-inch glass baking dish. 4. Sprinkle brown sugar over all. 5. Cover with foil and bake for 1 hour, then uncover and bake for another 30-45 minutes, or until bacon weenies are golden brown, crispy and glazed. 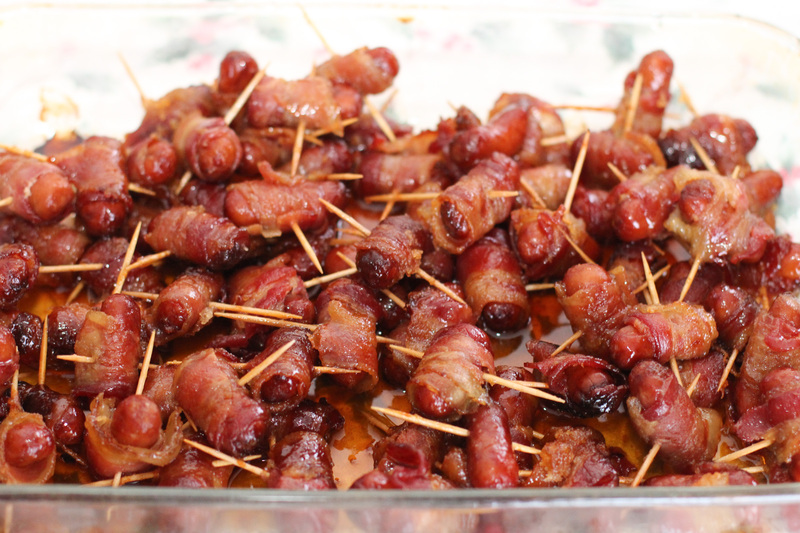 This entry was posted in appetizer, Recipes and tagged bacon, bacon wrapped wieners, brown sugar, cocktail wieners, food, foods, hot dogs, recipe, recipes, wieners. Bookmark the permalink.